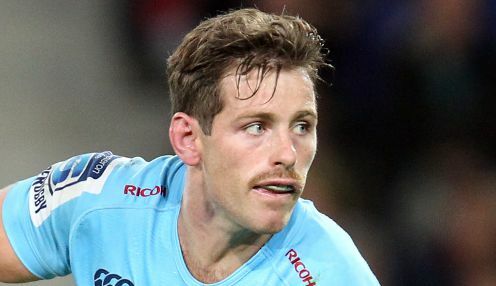 Bernard Foley has signed a new deal with Australia and the Waratahs until the end of next year. It means the 64-Test veteran will get the chance to pursue World Cup glory with the Wallabies in Japan next year. The fly-half says after Australia made the final last time, when they lost to New Zealand in 2015, he wants to see if they can win the trophy. The 29-year-old is fourth on Australia's list of points-scorers. He has racked up 593 points and sits behind Matt Giteau (698 points), Matt Burke (878) and Michael Lynagh (911). I feel there is a bit of unfinished business especially after going close at the last World Cup. Foley, who rebuffed offers from overseas to recommit to the Wallabies, said: "The World Cup is obviously a major carrot and I've got a lot of belief in this group that if we continue to work hard and focus on improving every day, then we can push deep into the competition. "I'm fully invested in rugby in Australia, at both a national and International level. I feel there is a bit of unfinished business especially after going close at the last World Cup." Wallabies coach Michael Cheika hopes 2019 won't be Foley's last in Australian rugby. "I know he wants to play to his absolute potential and lead the current group into what is a big 2019 with the World Cup just around the corner," he said. "It's also really important to him to leave a legacy for the next crop and inspire young Australians to wear the gold jersey." Foley won a Commonwealth Games Silver medal for Rugby Sevens at the Delhi Games in 2010 and led the NSW Waratahs to their maiden Super Rugby title in 2014. The Waratahs are 10/1 to win the 2019 Super Rugby title. Australia meanwhile are 14/1 to win the 2019 World Cup, with the All Blacks priced at 11/10.